One of the assignments for ProGen Study Groups is to write an education plan. The recent discussion on the APG list about genealogy education and institutes was a reminder to review and update the plan I wrote over two years ago. Areas to improve: These are all still works-in progress. · Do a better job keeping an up to date research journal. · Organizing and writing research reports. · Expand my knowledge of Oregon research. · Layout and design for publications. My week at SLIG 2013 is over; I returned home last night. A colleague suggested I post information about the course, Advanced Genealogical Methods by Thomas W. Jones, Ph.D., CG, CGL, during the week but I was too busy, and too tired to do so. Here is a review of the week. The italicized sections are all I managed to write during the week. 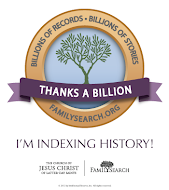 I arrived in Salt Lake City yesterday, Saturday, January 12, for the Salt Lake Institute of Genealogy, SLIG. I came a day early to fit in some personal research on a project that requires looking at several families in many counties in colonial Virginia, some of them “burned counties.” Numerous rolls of microfilm are involved. As soon as I arrived at the hotel, I dropped my bags in the room and walked the two blocks, in 14° weather, to the Family History Library. Now that the holidays are over, I realize that time is short to prepare for SLIG (Salt Lake Institute of Genealogy). I have been looking forward to Dr. Tom Jones’ course “Advanced Genealogical Methods” for a long time even though I know it will be a challenge. The class lists for each track can be found on the Utah Genealogical Society website. In addition to Tom Jones, Claire Bettag and Rick Sayre will conduct some of the classes. It will be great to meet Claire, who was the mentor for my ProGen Group. We all appreciated her contributions to our group.